During the last couple of years, tourism has consolidated itself like one of the strongest economic sectors of Costa Rica. Although the country is small and covers only approximately 0.03% of the world’s surface, it has the privilege of being the habitat of 6% of the world’s biodiversity. The variety of landscapes and microclimates that can be enjoyed in the same day make this country a heavenly destination. 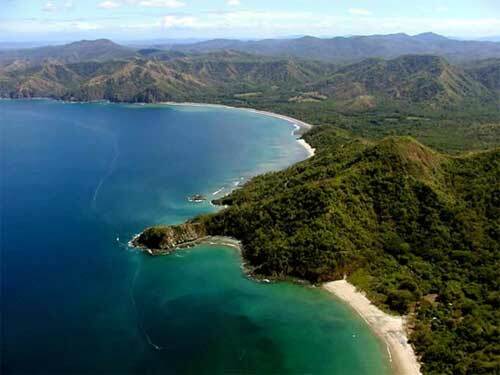 In just 51000 km2, the visitor can enjoy sun and beaches, adventure, nature and culture; necessary components in order to satisfy the demands of thousands of tourists that have found in Costa Rica its ideal holiday destination. Costa Rica has a diverse climate that can be divided in four climatic zones, each of them different and unique. Generally classified as a tropical country due to its proximity to the Equator, Costa Rica does not have a winter since the sun shines all throughout the year. It has, then, two climate periods: the dry season, from December to April and the rainy season, from May through November. The Costa Rican Tourism Institute is responsible for promoting the country as a tourist destination in a responsible and sustainable way. Until today, the tourism model that has been implemented, has allowed to widespread its benefits to a diverse and wide sector of society, especially taking into consideration the emphasis that has been given to the promotion of the eco-tourism and the adventure-tourism. Other forms of tourism that have been strongly promoted in the last couple of years have been the rural tourism and the one that focuses on the physical and spiritual health. Individuals with German citizenship do not require a visa in order to enter Costa Rica and can stay in the country for a maximum of 90 days. A valid passport is required.